But if you can select a great tenant from the outset, you might also be saving yourself at least 12 months of agony, not to mention a hit to your bottom line. Mark Kelman, a Sydney-based investor who owns 13 properties, says a good tenant “makes an amazing difference to your property”. He says a reliable tenant will reduce your maintenance costs, minimise wear and tear, look after the garden and effectively stage the property for sale if you decide to put it on the market. Kelman says the first step to selecting a dream tenant is usually finding the right property manager. “When it comes to tenant insurance, I joke about this, but tenant insurance is really bad property manager insurance,” he says. Sarah Martin, operations manager at Melbourne Property Managers, says lower management fees can often equate to a lower standard of service and cost you in the long run. 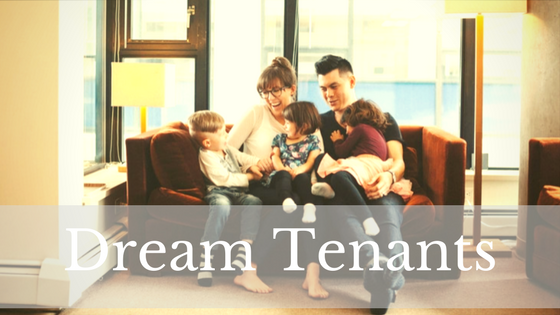 In terms of the dream tenant, Martin says families, households with expectant mums or pet owners are often a good bet for landlords seeking long-term renters. “The wear and tear is probably going to be higher but they do stay longer,” she says. That can save an owner a fortune in re-letting fees, not to mention the cost of having a property sit vacant while you search for new tenants. Sharon Gallagher, head of the property management department at Ray White Broadbeach on the Gold Coast, says an incomplete rental application form, or a chequered rental history, can be early red flags. “The perfect tenant would be someone that has perfect history,” she says. However, she says a dream tenant sometimes means different things to different landlords. Gallagher says a search of tenancy database TICA by your agent should reveal obvious problems in your prospective tenant’s rental history, such as sloppy payments, major damage, and situations where a share house has gone drastically wrong. Beyond that, it’s all about good communication – between your agent and tenant, and between you and your agent. A good agent will dismiss any tenant with a bad reference, and thoroughly check anyone whose application doesn’t seem to add up, she says. As for tenants, Gallagher says a dream tenant will tell the agent when maintenance is needed, without demanding the world. “If you’ve got tenants that don’t care, then unfortunately the property suffers as well,” she says. « Do you have enough money to invest in real estate?